Having had a lovely lazy week in Devon it was back to work on Monday morning. Camilla and Steph had kept the horses ticking over during the week and it was time for me to join in. I also made a visit to Marie Pearcey at Hove Chiropractic Clinic who keeps my back and neck in as good order as possible. Strangely after a week's rest from riding it was very jammed up and painful, but Marie worked her wonderful magic and sent me off fit for riding. On Wednesday I took Heidi and Askeaton to David Simpson for a lesson. Heidi was phenomenal! She is a little bit hot and I was aware that I was inclined to "bottle her up" rather than keeping a forward stride. David created a very helpful exercise to help her slow herself down. Meanwhile Askeaton had been lucky enough to blag a rather large helping of haylage by banging her stable door - with the result that she jumped rather like a Christmas Turkey! On Thursday it was Kvint and Emma's turn for some training, and they both jumped very well. I spent a lovely Friday evening in London with Sophie before spending Saturday morning in Selfridges - the ultimate department store - we managed to buy Sophie's wedding shoes, a mother of the bride outfit for me, a very special bottle of Irish Whisky for a not quite 60th birthday, stock up on birthday cards and some cooking chocolate. A good effort by 12 o'clock which made us absolutely starving! We had a lovely sociable weekend, and I had lovely rides with Sophie on Sunday and Monday. On Monday I took Heidi and Askeaton to Edenbridge & Oxted Show. This is a fabulous, old-fashioned agricultural show, so on the way to the ring we passed the shooting range, the donkey show, and masses of trade stands. By the time Heidi got to the warm-up she was beside herself and could hardly jump a cross-pole. 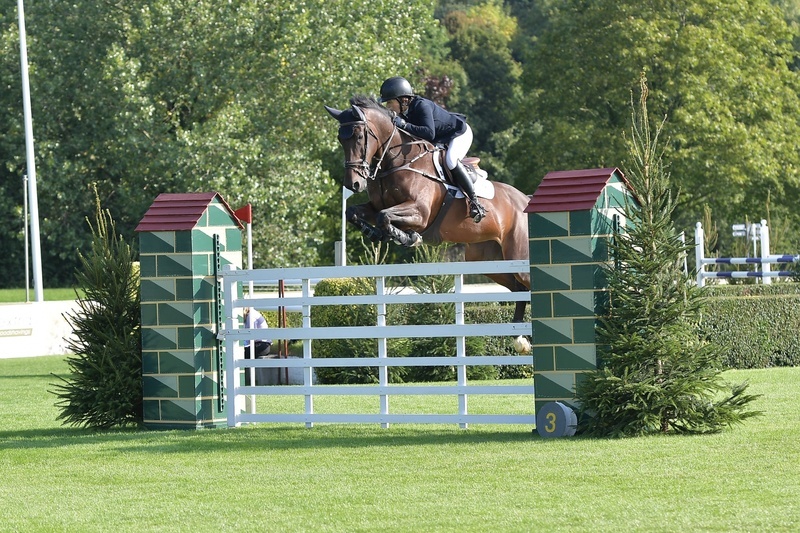 However, she sorted herself out to jump a good round in the British Novice and place 6th. Askeaton then jumped very well to be 5th in the Discovery and 7th in the Newcomers. A good effort by both of them but their behaviour on the ground still leaves quite a bit to be desired, and I don't think Mark and I would have coped without Karen Ibberson's help. Thursday saw Camilla and I up well before dawn to get the yard done and get off to Hickstead. Emma jumped first in the 1.30 warm-up, followed by a great round from Askeaton in the Newcomers and a prizewining round from Kvint in the 1.20. Heidi had a ride round and behaved beautifully. On Friday Emma jumped first in the 1.40 in the main ring. I didn't have as good a shot as I should to the first fence with the result that she slipped and stopped before jumping a lovely round - so very frustrating. 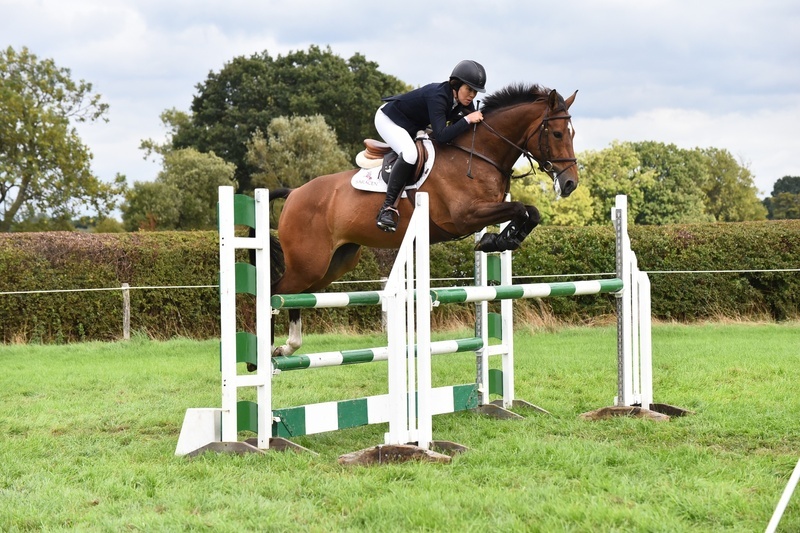 Heidi jumped well in the British Novice and Askeaton in the Newcomers, but star of the day was Kvint who jumped a stunning round in a big 1.30 - I was so upset for him that he wasn't placed! Steff and I made a third very early start on Saturday. Both Kvint and Emma jumped well in the 1.30, and Heidi jumped a fabulous round in the British Novice. Unfortunately I didn't get to walk the course for Askeaton's class and got in a bit of a muddle myself, but she jumped well. I was lucky enough to be offered a wild card for the 1.30 Championship on Sunday which was a brilliant opportunity to jump Emma. 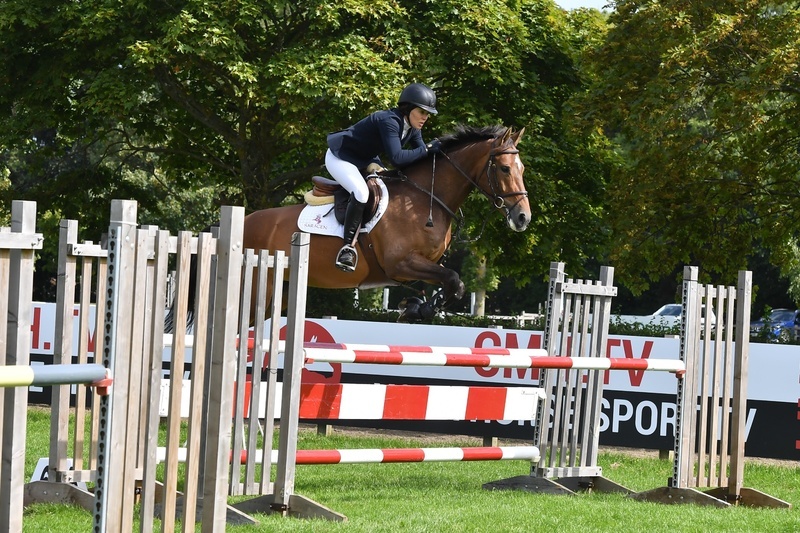 She actually felt a little bit tired, and I wouldn't normally jump four days in a row, but it was great to be able to jump her in the main ring when the fences weren't enormous for her. 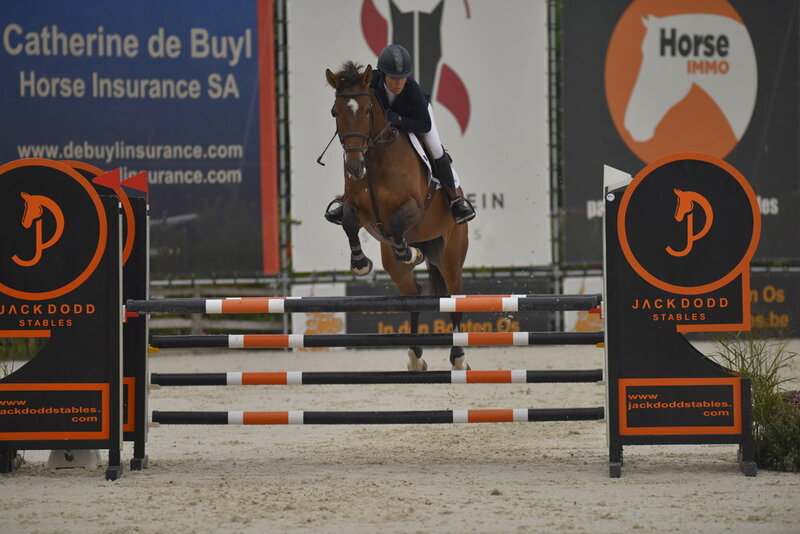 She jumped a lovely round, but had a couple of fences, but at least she felt super confident. We had a lovely relaxing day with Elena Watson helping us, and were able to watch Shane win and Georgia go very well in the Grand Prix. We are having a nice quiet week now while preparing for Jardy in France next week with Kvint and Emma. Caitlin McCaffery came yesterday to give the horses a chiropractic treatment, and David Simpson gave me a little bit of help with Askeaton. One of the many signs that Autumn is very nearly here is that I have now clipped both Kvint and Emma, and that I cannot wait for the Aga to be serviced and turned back on. The kitchen was very cold at 4.30 in the morning without it. As always I definitely couldn't do this by myself, so many thanks to Steff and Camilla who keep the horses happy and well, Mark - chief assistant worker, and Saracen Horse Feeds, whose sponsorship this year has been amazing. I always think our horses look so well and they cope so well with the demands of travelling and competition. Also many thanks to David Simpson, who, now that Shane is so busy, is helping me so much with the horses. 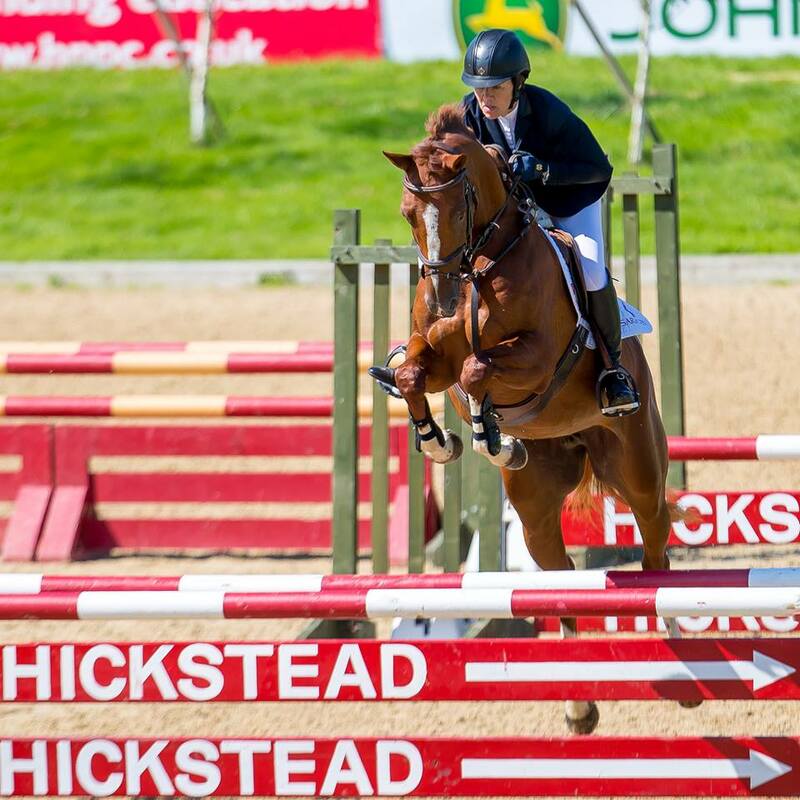 It is so exciting that not only has Shane been selected to represent Ireland with Ipswich van de Wolfsakker at the World Equestrian Games, but that Michael Duffy (former Breen Team Rider) will travel as 5th man with the Dalton's EFS Top Contender. What a season these guys are having and, as the horses are now all safely in Tryon, very best of luck to everybody.